Teaching Aboriginal studies is especially difficult if you are non-Aboriginal. Very little in your education or experience has prepared you for an in-depth knowledge of Aboriginal peoples and cultures. Much of your knowledge about Aboriginal people is too often derived from popular myths or from a media which sensationalises, distorts or omits Aboriginal issues. Your Aboriginal study materials should have a contemporary focus, yet too many people still think in ‘traditional’ terms: for example, “a half-naked man performing a corroboree”, which perpetuates those exotic and dated stereotypes inherited from a colonial past. The resources and support materials for Aboriginal studies you select must value the diversity of Aboriginal cultures. They should recognise contemporary Aboriginal input, the cultural diversity of Aboriginal communities and present them as living, dynamic and changing cultures. Avoid older resources (before the 1990s) that contain text that is demeaning to Aboriginal people and their cultures or perpetuate the ‘other’ and traditional view. Is the material accurate: truthful, exact and free from error? Before 1990, a lot of materials produced contained stereotyped and generalised information about Aboriginal people. Since then there are numerous resources and materials available which were written by, or in consultation with, Aboriginal people. These contemporary resources contain information about particular groups or communities and reinforce the diversity and complexity of Aboriginal life. They convey a more authentic and accurate view of Aboriginal peoples and their cultures. Does the material refer to Australian history as a shared history? Resources and support materials for Aboriginal studies must value the diversity of Aboriginal cultures. They should give voice to Aboriginal opinions and points of view besides those of non-Aboriginal people. There should not be any judgement of viewpoints, however subtle, and if there is it should be pointed out as a learning exercise (e.g. when discussing media sources). Have Aboriginal people participated in the development of the materials or reviewed and approved them? It is important that materials and resources recognise contemporary Aboriginal input as a vital part of presenting Aboriginal culture and the cultural diversity of Aboriginal communities. Ideally a short biography of contributors acknowledges the status in their community and the authority that qualifies them to speak. Be aware of resources, including recent publications, which make little or no reference to Aboriginal peoples, their perspectives and contributions. Simplistic information can be misleading. Teaching students to recognise such issues when using resources is crucial to developing critical skills. Does the material use appropriate terminology? Has it been endorsed by Aboriginal education or community groups? Some Aboriginal people may be upset if a resource includes material of a secret or sacred nature, which is not intended for public knowledge. This can include images of ceremonies, artwork, and names and photographs of people who are now deceased. Consult with the local Aboriginal community to ensure you are using appropriate resources. Respect Relationships Reconciliation (3Rs) provides study resources designed to support teacher educators incorporate Aboriginal content in initial teacher education (ITE) courses. It helps with strategies for teaching and understanding Aboriginal people. See www.rrr.edu.au for more details. Other resources are available at www.rationshed.com.au. 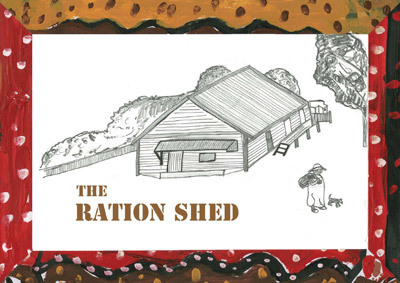 The old ration shed from the mission is now the home of a museum, where visitors can experience what life was like for Indigenous people living under the Aboriginal Protection Act during much of the 20th century. They can also share the many wonderful aspects of traditional Aboriginal culture and contemporary Cherbourg life.